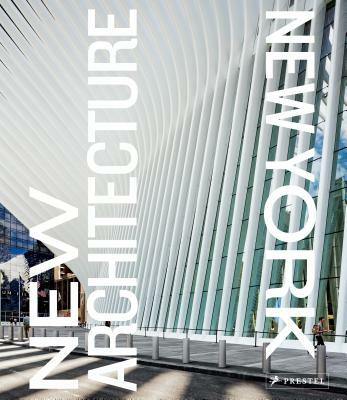 A magnificent photographic compilation of New York City’s best new architecture, this book features projects by leading firms working today. From Bjarke Ingels Group’s VIA West 57 to SHoP Architects’ Barclays Center, and from Diller Scofidio + Renfro’s High Line to SOM’s One World Trade Center, New York City has been home to some of this century’s most exciting new architecture. Profiling more than fifty projects that are shaping the city’s streets and skylines, this book features color photographs of each building and a brief, informative text about its significance. Renzo Piano Building Workshop, Ateliers Jean Nouvel, Foster + Partners, Selldorf Architects, Gehry Partners, and Adjaye Associates are just some of the firms that have recently completed projects in New York City. Visitors to the city as well as its denizens will find this book an exhilarating guide, while fans of architecture will gain an even greater appreciation of the city’s unprecedented development in the past fifteen years by the world’s best architects. Pavel Bendov is an architectural photographer. "The best of these are compiled in a recently published book by Prestel, New Architecture New York, a collection of fresh architectural gems show the way forward for the city's urban planning.